Chicken dishes are popular all over the world. 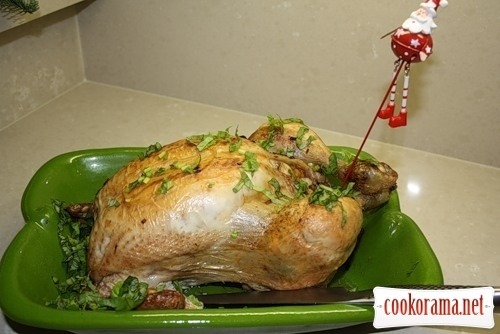 Especially popular dishes from a whole chicken on holidays. This dish is a great option for the New Year, your guests will appreciate your culinary talents. 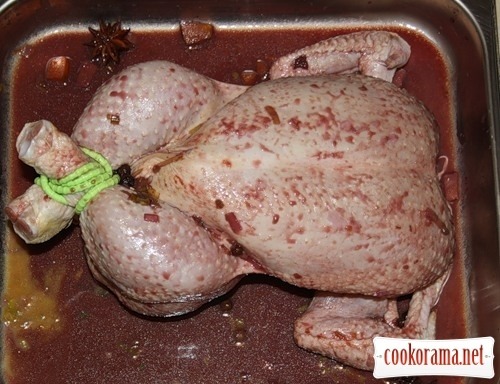 Wash chicken, dry it, rub with salt and pepper. Peel apples, remove cord and dice apples. Dice onion, parsley root and pumpkin, slice leek. 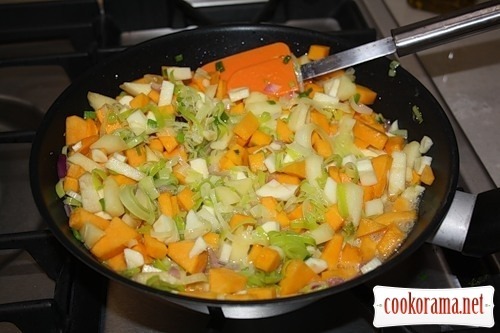 Heat butter in pan and slightly fry vegetables in it, fry for 2-3 min. Salt and pepper it. Remove from heat, let it cool. 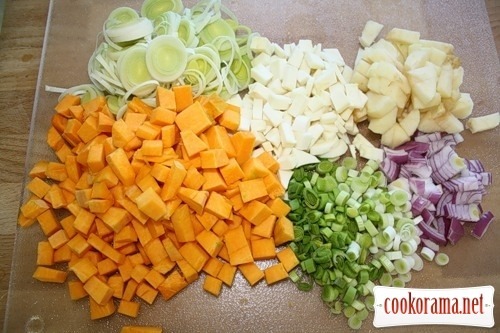 Stuff chicken with vegetable mixture, sew up the hole with kitchen thread or toothpick. Tie legs. Heat wine in saucepan, add pepper and anise. 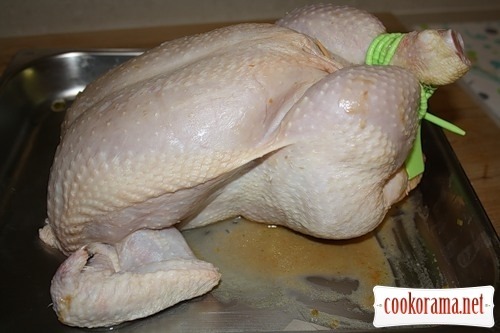 Spread chicken on baking sheet, grease with wine sauce. Bake in the oven at 200℃, for 60-80 min. Sprinkle with fresh basil before serving. As a side dish, serve rice or season vegetables salad. Bon Appetite! And happy NEW YEAR! 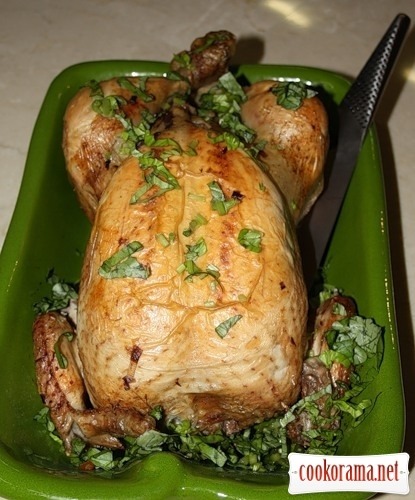 Top of recipe "Chicken stuffed with pumpkin"
Дуже цікавий рецепт! З Новим Роком!